This post is all about getting the study material into the kids hands! How do you do this in your classroom (I would really LOVE to know!)? Ever since I taught first grade, I make a weekly word list each week and give to the kids. On the list are the spelling words, vocabulary words, and the weekly skills. I realize that a lot of you make the kids look up the vocabulary words and write the definitions, but we simply don't have time. I teaching 3 classes of Reading/Language Arts/ Spelling and only have each class for around 1hr and 15 min (give or take). After trying to cram the whole group lesson and meet with small groups, there isn't enough time to make sure everyone has copied down the words to study for the week. 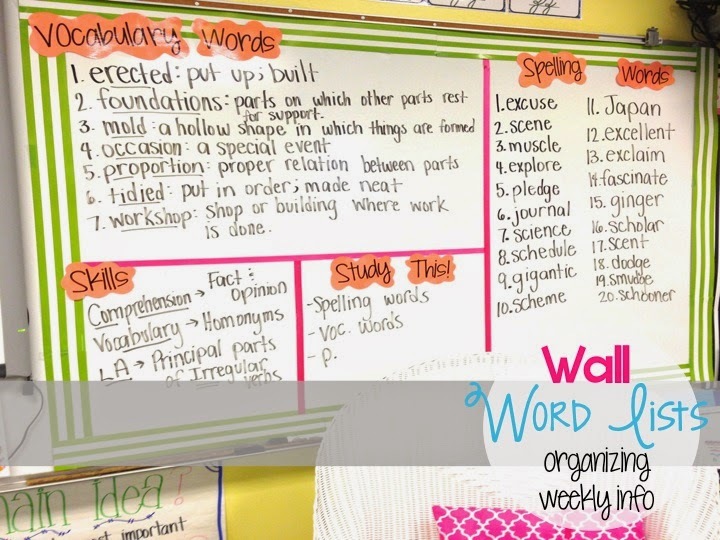 Word lists have worked really well for me, but I want to give a little more responsibility to my 5th graders, so I created a new board in our classroom: the weekly word list wall. Each Monday the first thing we do is copy down the word list for the week. Once they have done this, I give them a piece of colored paper to staple to the paper so it will be a little easier to keep up with. I like having the words in one place so I can easily refer back to them and now I know that my sweeties who never pick up that word list are at least being exposed to it. We go over what they need to be aware of for the test each Thursday and I feel like they are better prepared now. The "Study This" box is added to throughout the week as we cover the material each day. I love how you have your lists posted on your board. Mine is very similar, except I type vocabulary and spelling card and display them in pocket charts on my board. I've always struggled with giving my kids the definitions as opposed to having them look the words up. My kids struggle with dictionary skills, so I love that looking them up adds practice, but, just like you, 3 classes - an hour and a half - no time! I'm definitely considering your way and just providing the definitions for them. Each week our grade level sends home a newsletter and I include their spelling and vocabulary words along with the skills for the week, next time I'll add the definitions and see how that works out! Thanks for sharing all of your fabulous ideas! Still waiting to see the new room set up! 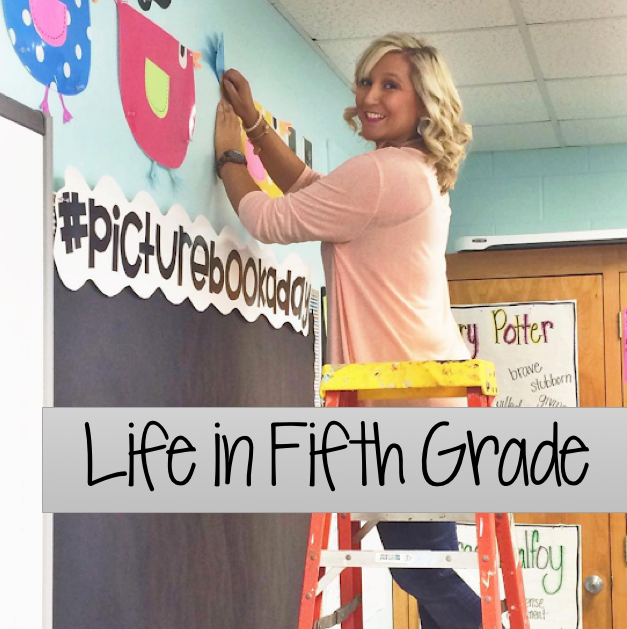 How do you structure your language arts class? I am looking for a good way to manage everything timewise. Love the idea of having spelling, vocab, and skills all displayed for the kids each week. Do you have weekly quizzes for the spelling and vocab?